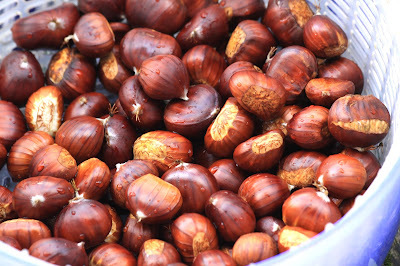 If you harvested the chestnuts yourself for the first time and don’t know how to prepare them, here is a link where you can find more information. Add the steamed chestnuts, water and all the spices to a cooking pot and bring it to a boil. Cover the pot and reduce the fire to low heat. Let it simmer for about 15 minutes. 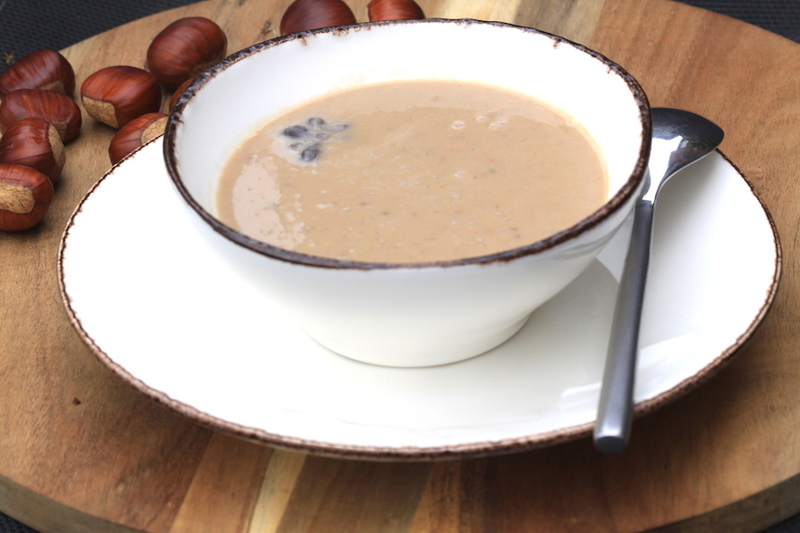 Remove the bay leaf, cinnamon sticks and star anise and blend it all well until thoroughly smooth. Bring back the cinnamon sticks, bay leaf and star anise to the soup and let it all work in for (at least) ten more minutes, with the pan covered. Add tamari/shoyu or salt to taste. Warm it up again before serving.